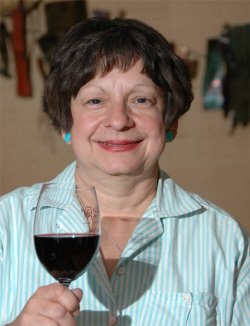 In September I was invited to a tasting and food paring by the ah-mazing Anne M. Vercelli. Her dear friend Carl Brandhorst is the president of the Atlantic Seaboard Wine Association and was kind enough to have six wines for us to taste with delicious culinary delights created by Anne. We went on an adventure to a part of the US where wines have been made for decades and which I know very little about, so it was educational, mind blowing and inspirational. You can listen to the interview here. On Sunday I entered Mercy Wines tasting room with an open mind and left knowing I had tasted some incredible wines made from grapes sourced from local Arroyo Seco vineyards. They’re really doing some delicious and interesting palates and focusing on a traditional representation of the varietals. I think you’ll love these wines. I had the good fortune to meet one of the owners, Mark Dirickson and Sean, the manager. Mark Dirickson and his partner Mike Kohne are both vintners with long careers in the wine industry (45 years between them) and they have settled into making small production, finely crafted wines, with esteemed winemaker Alan Phillips. Right up my alley. On the day I was there they offered seven wines for tasting. We began with the 2011 Sauvignon Blanc, one of my favorite varietals and one that has been too often made to be pretty generic. Not this S.B. 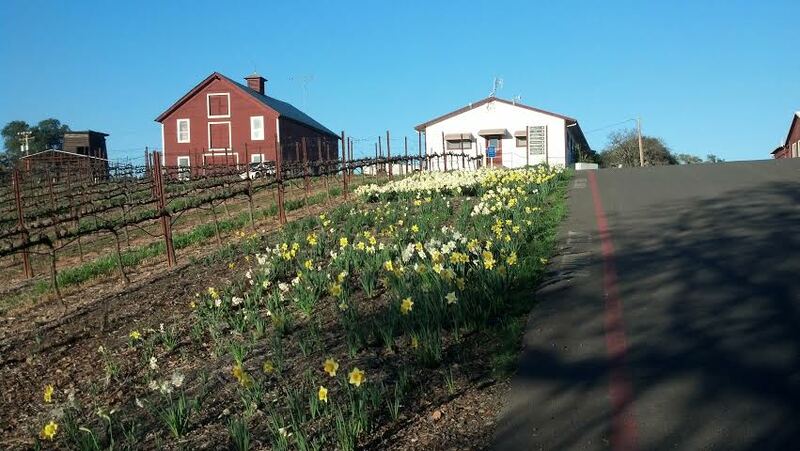 ; the grapes are from the dry Riverbed and uses the underutilized Musque clone. Fermented in Stainless steel it is crisp, tropical, and has fragrances of ripe melons, bergamot , citrus blossoms and of course a distinct minerality delivered from the Riverbed. Next we tried the 2009 Chardonnay form the Zabala vineyard. It was my favorite due to the smooth mouth feel, well balanced acidity, round oak and the pear, butterscotch, crème brûlée flavor aromas. Absolutely deliciously mouthwatering. A Chardonnay not to be missed. The 2012 Riverbed Chardonnay, which Mark explained is actually a riverbed vineyard of the most forboding rock and brutal ground you would ever find. The meager, nutrient-deficient topsoil which feature cobblestone beds of granite and shale, the locale of the riverbed channel also is noted for its extreme climate, as forceful winds and dense fog persist throughout the growing season. I cannot even imagine growing anything in such a barren place, let alone such amazing wine. Obviously it is very low yield and small cluster so they really get a rare product from this challenging vineyard. It is a combination of the Zabala and Griva vineyards and has a wonderful acidity, bright tart apples, citrus, some spice and the minerality characteristic of the landscape. Refreshing and delightful. There are also three Pinot Noirs on the menu now, the 2009 Zabala, the 2010 Cedarlane and the 2012 Riverbed. Each one is distinct in personality, flavor profile and style. I tasted the 2009 Zabala first, it features the 115 and 667 clones, classic in Dijon. It is fermented and aged in French oak and has rich boysenberry, black cherry and earthy notes, with some spice and musk. After that came the 2010 Cedarlane a very classic Pinot Noir that is 50/50 Pommard and 667 clones. Again fermented in small bins and then aged in French oak, it is succulent and elegant with cranberry, raspberry, and winter spice notes. The final Pinot Noir is, interestingly, a sophisticated blend of several clones, namely – three “Dijon” clones (115, 667 & 777) and three classic clones (Pommard (4), Martini (13) and La Tache – all join together in harmony to celebrate Pinot Noir. This has loads of cherry, rhubarb, violets and spices notes that all marry well in a delicious mouth with a luscious finish. Finally, the 2009 Syrah from the rocky Zabala vineyard is a blend of three clones, the 7, 470 and 877. It is aged 21 months in neutral French oak. It has a beautiful creamy quality and notes of raspberry, plums, lavender and chocolate, with a rich and velvety finish. I recommend you check out Mercy Wines. There are some many great wines and I have some really gorgeous ones to share with you. These are all outstanding wines and I recommend them so highly. they’re from some of my favorite wineries and winemakers, you cannot go wrong with any of these. Let’s start with a little known, except around here, winery called Boëté. They have astonishingly good wines, mainly reds. They do Cabernet Sauvignon and Cabernet Franc exceptionally well. 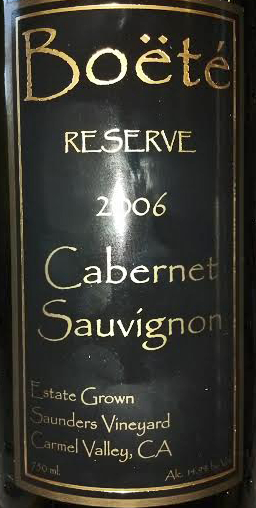 Here is the 2006 Reserve Cabernet Sauvignon, that is, of course, a knock-your -socks off delicious wine. Big fruit, earthy, savory and well structured. It has a tremendous complex finish, that lasts and lasts with notes of leather, violets, dark fruit and warm earth. 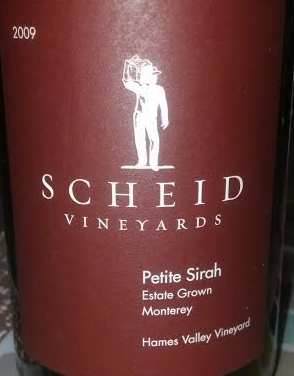 Next, a fantastic 2009 Petite Sirah by Scheid, rich and smooth with lovely dark plums and cherry fruit flavors, supported by robust tannin structure, the finish is like cherry cola, vanilla and smoke. Always a fan of Pinot Noir over here. I love these two wines from Amphora and Joyce which are very different in style, but totally delicious. 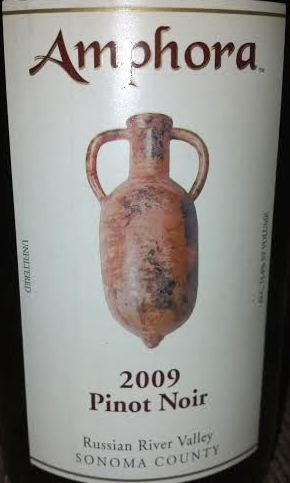 Amphora wines are always big on flavor and a full mouth feel. Rick balances the wines beautifully and this one is no exception. I just love how chewy it is and well developed. Big fruit: raspberries and blackberries, spice, slightly syrupy. The 2009 Russian River Valley Pinot Noir is that substantial wine you look for to have with stuffed portobellas or pork roast. 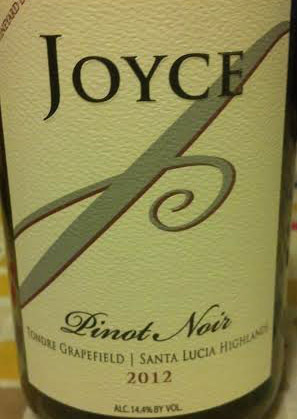 On the other hand, you might want something a bit lighter, such as the Joyce 2012 Tondre Vineyards Pinot No ir. This is a nectar like wine with delicious juicy strawberry, raspberry and red fruit flavors, supported with spice, cocoa and a nice firm tannic structure. A truly wonderful wine recently awarded 93 points by Robert Parker for Wine Enthusiast. This is the California autumn in a bottle. A bold fruit forward Zin with delectable and juicy blackberry and ripe plum flavors, combined with earth and spice. It has really well structured tannins, the wine is substantial, complex and finishes richly. So satisfying. Goes exceptionally well with slow braised meats, BBQ, Marinara sauced dishes and traditional Bolognese entrées. A story about a winemaker’s development can be predictable but when the results are exceptional, the plot becomes just a bit more compelling. Rick Hutchinson of Amphora Wines has been crafting and creating wines for over 35 years and his expertise hinges not only on his experience, but his passion and creativity. He is comfortable living in his “right brain” without the pressure to conform to anyone else’s standards or rules. This self knowledge and ease has allowed him to pursue his interests and business in an organic way. Growing up in a large family (he is number 8 out of 9 kids), he learned the necessity and value of hard work and that got him noticed in the early days at Sebastiani. Beginning with mopping floors and being the general gopher, his duties evolved into assisting during harvest and wine making. Winemaking, he says reminded him of home smells, “Mom was always canning fruit, and she did a lot of canning and preserving”. 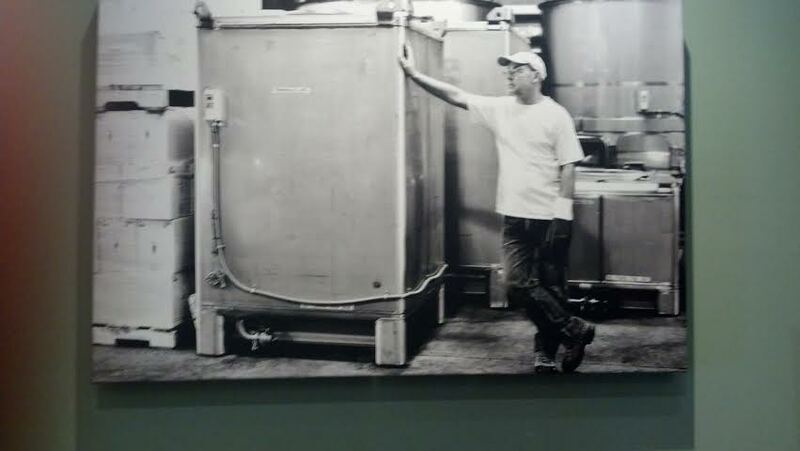 Like all greats he had mentors, notably Doug Nalle of Nalle Winery fame, John Kongsgard and Grady Wann. 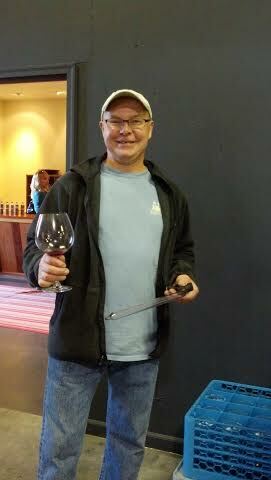 He started Amphora Winery in 1997 when he had an epiphany about his retirement plan. “I don’t plan on retiring”. 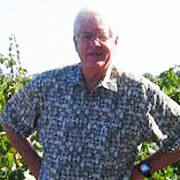 Motivated by experimentation and his studies on grape varietals, Rick’s wines are alive. He describes himself as a “left handed, right brained, artist, musician” who’s work is his art and his art is his work. 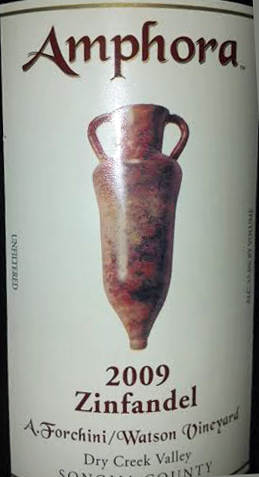 He is also the potter behind the beautiful Amphorae illustrating the labels of his wines. The wines themselves are rich, complex, bold and full of flavor. They are not the soulless, thin, two dimensional, chemistry experiments that categorize many of the mass produced wines on the market today. He believes in the individual character and personality of the grape, small production and commitment to creating an insanely good wine. His focus has been, primarily, on Zinfandel, Petite Sirah, Pinot Noir, GSM (Grenache, Syrah and Mourvedre blends) and Chardonnay. In 2008 he branched out to Mourvèdre, Teraldego, Grenache, Syrah and Alicante Bouschet and the list of varietals continues to grow. He states that “everything you do to the wine affects the outcome of the final product, starting with the growing, treatment and handling of the grapes”. He believes that great wines are balanced and readily drinkable yet stand up to cellaring. Rick works in tandem with equally committed and passionate farmers to nurture the best grapes from proven vineyards, and then works with that fruit to create perfectly balanced wines that reflect their varietal and vineyard. Now his Amphora wines are earning medals and he continues to create the arts of his work.